The University of Nottingham are proud to announce that the BUCS Individual Squash Championships will be returning to Nottingham for 2018 and 2019 after winning the right to host the Championships. The championships will last 3 days and will be hosted across the World Class facilities at David Ross Sports Village and Nottingham Squash Rackets Club. The BUCS Individual Squash Championships provides a competitive platform for novice and elite players with over 300 men and women competing. Previous competitors have competed on the world stage in World Universities and professional competitions. “BUCS are delighted to be heading back to the University of Nottingham for the 2018 and 2019 championships. Their high quality facilities, including an all glass show court, enables competitors and spectators to have the best experience. We look forward to welcoming the students back to Nottingham”. 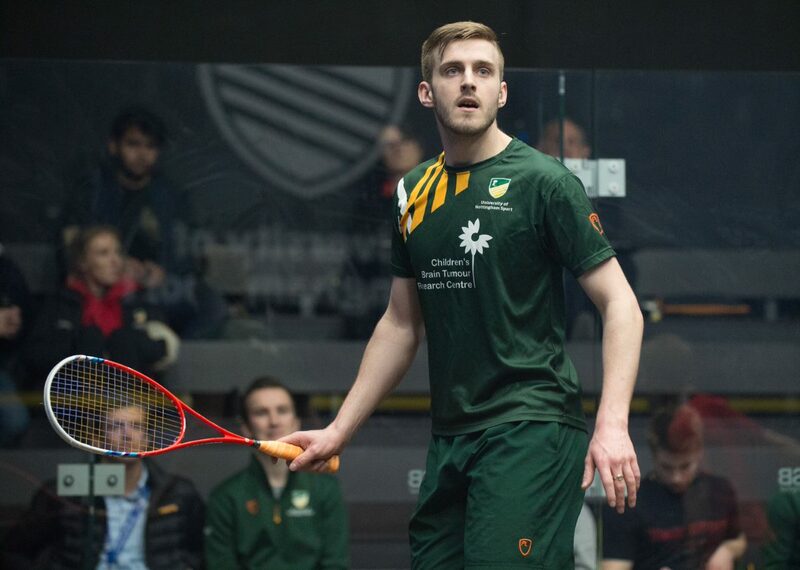 ”As both head coach of UoN’s squash programme and the Chair of Nottingham squash club, I am very pleased with securing the BUCS individual championships for two years, for both the honour and also prestige it brings. Hana Ramadan, two time Nationals British Universities Champion. Adam Auckland and Owain Taylor who were recently selected to represent Great Britain in the World University Squash Championships. The BUCS Squash Individual Championships will take place from 30th November – 2nd December 2018 and from 29th November – 1st December 2019 at The University of Nottingham David Ross Sports Village and Nottingham Squash Rackets Club.